This was one of the Poll questions asked by Lynne Co pp during a recent Citrix GoToMeeting Webinar – Make 2017 Your Best Year Yet Through Great Leadership, Team Engagement & Motivation! An amazing 84% of attendees described themselves as Engaged (55%) or Very Engaged (29%), which is great news for their employers! Over 1000 people, from multiple sectors, registered for this excellent webinar; indicating that there is a great deal of interest in improving engagement and motivation. 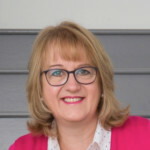 Lynne received outstanding feedback about the quality and content, and looks forward to delivering further webinars soon.